Some companies find their niche and stick to it. Others, though, have to adapt to changing markets in order to thrive. Here's a look at some companies that switched industries at some point in their histories, usually for the better. Before L’Oréal hit the scene, a safe, effective hair dye was hard to come by. Seeing a hole in the hair care market, a French chemist named Eugène Schueller took it upon himself to fill it. He spent years tinkering with hair colorant formulas in his kitchen, causing several small explosions and attracting visits from the police in the process. He finally perfected the product by 1907 and founded the company that would become L’Oréal two years later. Nintendo, the video game brand that launched such 1980s and '90s-era franchises as Mario, The Legend of Zelda, and Pokemon, is actually one of the older companies on this list. It was founded in 1889 as a playing card company based in Kyoto, Japan. The cards (named hanafuda, or "flower cards" for their ornate floral imagery) were popular among the organized crime gangs that inhabited Japan’s gambling halls. The company's origins are even reflected in its name: When separated into three characters, "Nin-ten-do" roughly translates to "Leave luck to heaven," or "Work hard, but in the end it is in heaven’s hands." 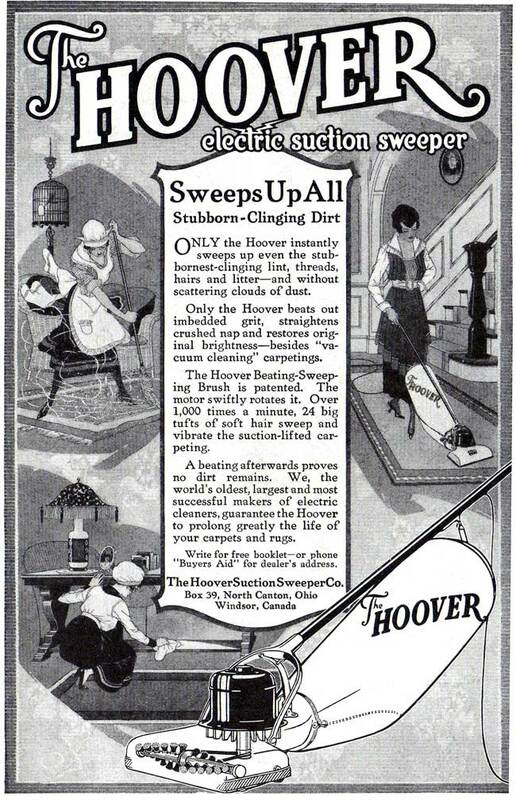 The first Hoover vacuum ever assembled consisted of a tin soap box, a sateen pillow case, a broom handle, and a fan. Originally dubbed “The Electric Suction Sweeper,” it was built by Henry Hoover’s wife’s cousin, James Murray Spangler, in an attempt to deal with the dust that aggravated his asthma. Hoover bought the patent for the invention from his cousin-in-law in 1908, and it was marketed as the Hoover Electric Suction Sweeper from that point forward. 4. IKEA – PENS, NYLON STOCKINGS, ETC. 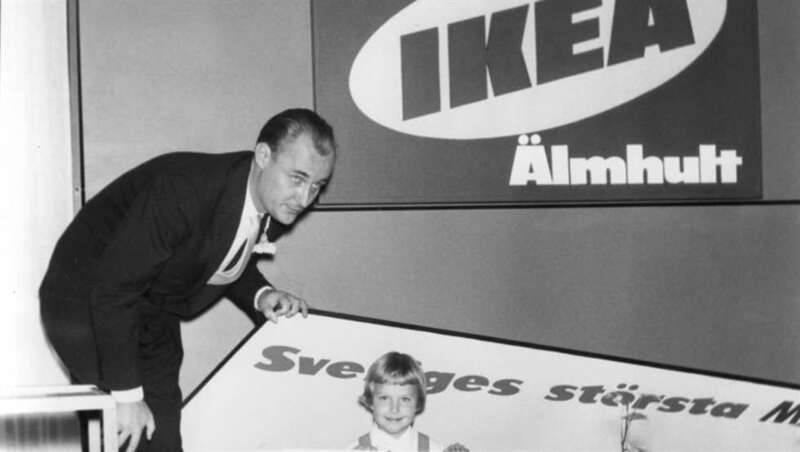 IKEA founder Ingvar Kamprad showed entrepreneurial promise from a young age. At age 5, he began buying matches in bulk from Stockholm and selling them to neighbors for a profit. He later moved on to selling flower seeds, greeting cards, Christmas tree decorations, and more. In 1943, when he was 17, Kamprad founded IKEA from his uncle's kitchen table. It began as a mail-order business, selling a variety of items like stockings, jewelry, watches, pens, and picture frames. Kamprad added the first piece of furniture to the company's offerings a few years later. Furniture sales got even bigger with the introduction of the famous IKEA catalog in 1951 and the first showroom in 1953. IKEA's furniture soon became the focal point of the company as it began phasing out all other products over the next few years. Nestlé is one of the largest food companies in the world, owning hundreds of brands that range from candy to dog food. The product that started it all, though, was baby formula. 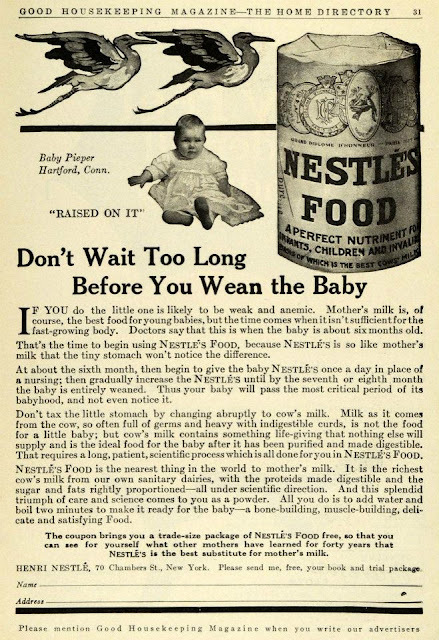 In 1867, German-born pharmacist Henri Nestlé debuted his easy-to-digest breast milk alternative named farine lactée or “flour with milk.” After it was used to nurse a premature baby in poor condition back to health, the product took off. Nestle’s annual sales reached more than a million tins of formula in less than a decade. The toy brand that’s best known for its plastic, interlocking bricks was founded by a carpenter. 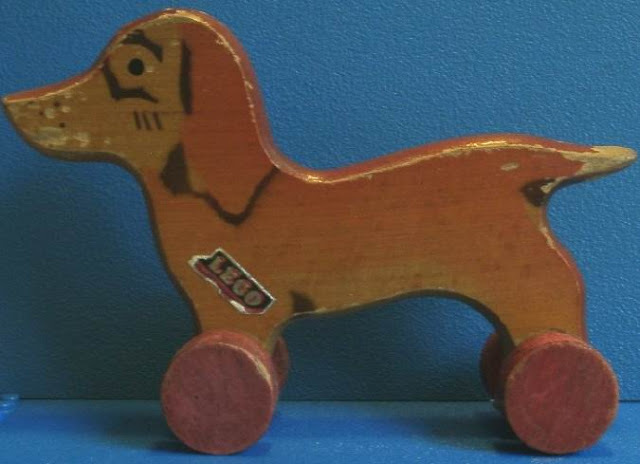 Struggling to find enough wood to build furniture during Denmark’s recession of the 1930s, Ole Kirk Kristiansen began turning wood scraps into children’s toys. Some of LEGO’s first products included toy trains, automobiles, and a wooden duck on wheels that quacked when pulled. When he started experimenting with plastic toys in 1947, most department stores weren’t interested. Fortunately for future generations of LEGO builders, that didn’t discourage him, and plastic bricks eventually became the focus of the company. Cracking open a nice, cold bottle of Brad’s Drink doesn’t sound particularly refreshing, but before Pepsi was Pepsi, it was named for its inventor, Caleb Bradham. According to the Pepsi Store, the beverage—made from sugar, water, caramel, lemon oil, nutmeg, and other natural additives—was originally marketed as a health drink designed to help digestion. In 1898, five years after the product's debut, Bradham switched the name to Pepsi-Cola. Despite the name, at no point in the drink’s history was the enzyme pepsin included in the ingredients. William Harley and brothers Arthur and Walter Davidson developed their first working motorcycle prototype in 1903. There was just one problem: The bike didn’t pack enough horsepower to chug uphill. They had a little more luck with their second attempt. The newer model featured a larger engine (still puny by today’s standards) stored in a loop-frame chassis. 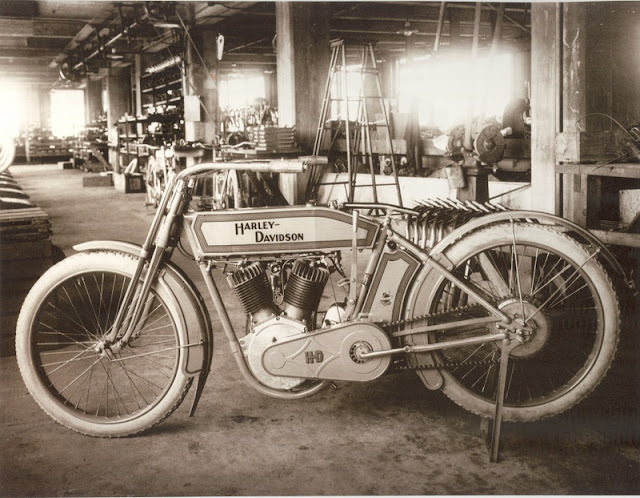 A friend of the inventors named Henry Meyer was the first person to buy a prototype before Harley-Davidson became an official corporation. The origins of Nike can be traced back to a school paper for a small-business class. Phil Knight was enrolled at the Stanford Graduate School of Business when he got the idea for a Japanese shoe company that manufactured quality products at lower costs than the German brands that dominated the market at the time. The theme of his essay titled "Can Japanese Sports Shoes Do to German Sports Shoes What Japanese Cameras Have Done to German Cameras?" inspired him to found a real-life business in 1964. 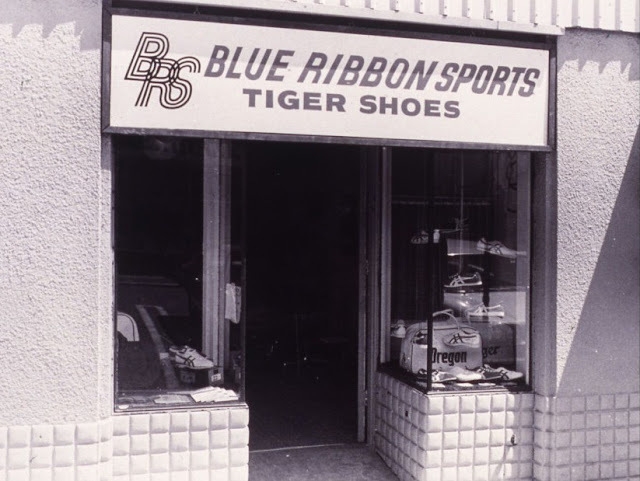 Nike—then Blue Ribbon Sports—began as a distributor for Onitsuka Tiger Running Shoes made in Japan. Knight initially sold the shoes himself from the back of his station wagon at Oregon University track meets. 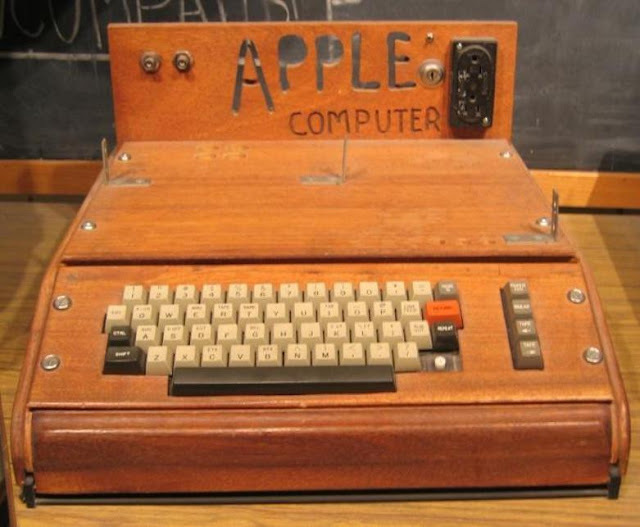 Steve Wozniak didn’t intend to change history with his invention of the Apple I in 1975. He originally assembled the microcomputer to show-off to his fellow tech hobbyists at one of their Homebrew Computer Club meetings in Silicon Valley. According to Wozniak, the simple product marked "the first time in history anyone had typed a character on a keyboard and seen it show up on their own computer’s screen right in front of them." The design was bare-bones by today's standards, but fellow club member Steve Jobs saw its commercial potential. He sold 50 orders of the machine for $500 each to a local computer store. To afford the parts to assemble them, Wozniak had to sell his HP-65 calculator and Jobs sold his Volkswagen van. It ended up paying off—the product brought in over $50,000 for the store and encouraged the team to get to work on the Apple II.